Share the post "20th anniversary of Br. 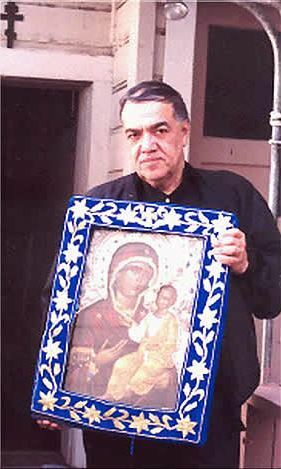 Jose Munoz-Cortes commemorated in NY"
The 20th anniversary of the repose of the keeper of the miraculous Montreal Iveron Icon of the Mother of God Icon Br. José Muñoz-Cortes was celebrated by the Russian Orthodox Church Outside of Russia (ROCOR) on Saturday, reports RIA-Novosti. Hundreds of believers from various cities around the U.S. and Canada gathered at ROCOR’s spiritual center Holy Trinity Monastery and Seminary in Jordanville in upstate New York. A panikhida and akathist were served in the cemetery behind the main monastery church were Br. José, who was murdered in Athens in 1997, is buried. The faithful placed dozens of candles on his grave during the services. All of the services were blessed with the presence of the Hawaiian Iveron Icon of the Mother of God, which is itself a miraculous copy of the Montreal Icon, which began to stream myrrh in 2007, ten years after the disappearance of the Montreal Icon. Among the worshipers was Br. José’s sister Angela Muñoz-Cortes. In an interview with RIA-Novosti, she told about how she witnessed the beginning of the miracle with her brother’s icon. “I saw myrrh flowing from the icon. It happened at night, and Joseph woke up from the strong smell. He didn’t know what it was,” she stated. Br. José at first thought that a friend staying with them must have used some cologne. Then he noticed some oily spots on the icon and thought the friend had carelessly spilled some oil on it. “Joseph wiped the icon, but the spots soon appeared again. Then he understood it was myrrh,” Angela said. “was open to all, and tried to help everyone,” Angela added. Br. José Muñoz-Cortes, a Chilean, converted to Orthodoxy in the Russian Orthodox Church Outside of Russia in Montreal, Canada. He was brutally murdered in Athens on the night of October 31, 1997. 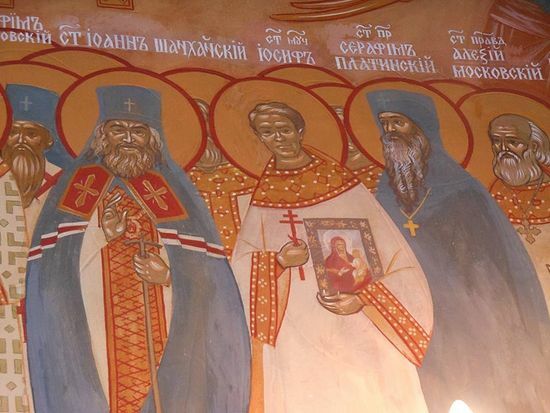 The icon, which was painted on Mt. Athos and which streamed myrrh almost continuously for fifteen years disappeared without a trace, although many Orthodox believe that it returned to its home on Mt. Athos. 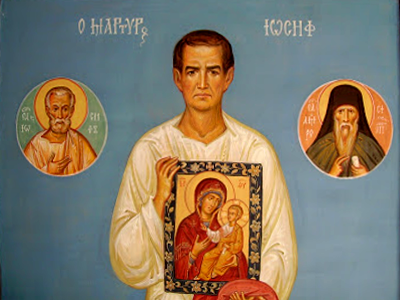 The Eastern American ROCOR Diocese has established a commission for collecting documents on the eventual canonization of Br. José. Read more about José Muñoz-Cortes here.